Join us for a webinar on “Rural youth and livelihood change” Wednesday October 18 from 3.30 – 4.30PM CEST. This webinar is jointly organized by The CGIAR Research Program on Forests, Trees and Agroforestry (FTA) and the CGIAR Collaborative Platform for Gender Research. Increasingly development reports and media cite the so-called global ‘youth bulge’: the 1.8 billion people between the ages of 10 to 24 years old, marking it the most ‘youthful’ world population to-date (UNDP 2014; UNFPA 2014; Sengupta 2015). Defined in various ways by age (e.g., 10-24; 10-29; 15-32 years old, etc.) most of these young people – or roughly 90 per cent – are found in the developing world, and the majority are in rural areas (World Bank 2006; UNFPA 2014). Crucial is that the majority of these young people in rural areas are chronically unemployed or in vulnerable work positions (AfDB 2016). In this context, development discourse and economic outlooks often portray youth as having the potential to be ‘agents’ and ‘makers’ of the future, or as ‘threats’ and ‘breakers’ of economic downturns and political unrest (Honwana and de Boeck 2005; World Bank 2006; DFID 2016). Either way, these figures suggest that there are challenges and opportunities ahead for much of the global South’s youth population, and for governments and institutions in providing for its rising younger population in a substantive and meaningful manner.. 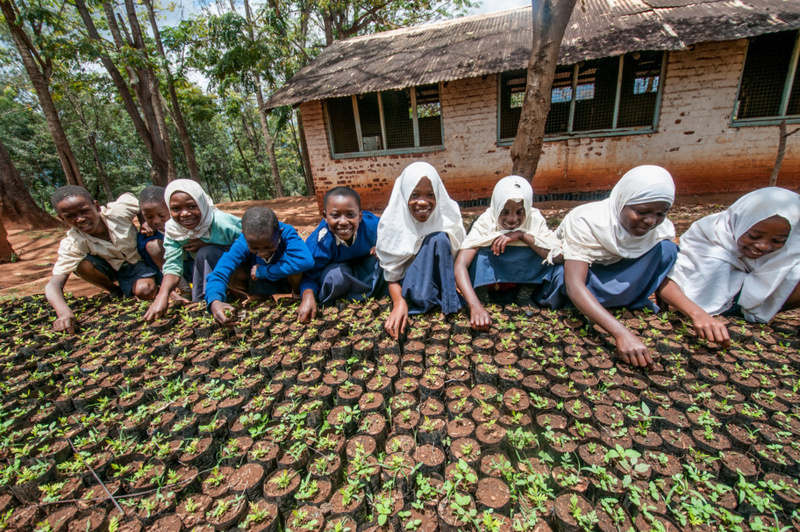 In light of these demographic and economic trends, rural young people play a unique and significant role for the future of rural livelihoods and forest and land-use systems. Often times, however, rural youth in the global South are poorly understood and overlooked in research compared to studies of more ‘visible’ social groups and urban centers (e.g., Panelli et al. 2007; Jeffrey 2008; Farrugia 2014; Punch 2015). Even within CGIAR, research on rural youth in relation to forest and agricultural production systems are lacking. For FTA, there is a clear need to address these research gaps, as dominant youth narratives can misunderstand how processes of class, politics and geographical divides can create different vulnerabilities for rural young people (as compared to their urban and Western counterparts). Daniela Rivera is the YPARD Peru representative. She has worked with rural and indigenous communities and small scale growers in horticulture and forestry activities across Latin America. In Peru, her work has been in helping to conserve landscapes in partnership with local communities and representing youth at international forums such as the Third Global Forum on Agricultural Research for Development. Jessica Clendenning is a PhD Candidate in Human Geography with the National University of Singapore. Her research explores how rural youth plan to engage in their natal village and land in Flores, Indonesia. She wants to understand how changing demographic and mobility patterns impact upon families’ agricultural practices, land and social relations. AfDB (2016). Jobs for youth in Africa: Catalyzing youth opportunity across Africa. Abidjan: African Development Bank. DFID (2016). Putting young people at the heart of development: The Department for International Development’s Youth Agenda. Honwana, A. and De Boeck, F. (eds.) (2005). Makers and breakers: Children and youth in Postcolonial Africa. Oxford: James Currey Press. Jeffrey, C. (2008). ‘Generation Nowhere’: rethinking youth through the lens of unemployed young men. Progress in Human Geography, 32(6): 739-758. Farrugia, D. (2014). The mobility imperative for rural youth: the structural, symbolic and non-representational dimensions rural youth mobilities. Journal of Youth Studies, 19(6): 836-851. Panelli, R. Punch, S. and Robson, E. (2007). From difference to dialogue: Conceptualizing global perspectives on rural childhood and youth. In: R. Panelli, S. Punch and E. Robson (ed). Global Perspectives on Rural Childhood and Youth. New York: Routledge, pp. 1-14. Punch, S. (2015). Youth transitions and migration: negotiated and constrained interdependencies within and across generations, Journal of Youth Studies, 18(2): 262-276. UNDP (2014). Empowered Youth, Sustainable Future. UNDP Youth Strategy 2014-2017. New York: United Nations Development Programme. UNFPA (2014). State of World Population: The power of 1.8 billion: Adolescents, youth and the transformation of the future. New York: United Nations Population Fund. World Bank. (2006). World development report 2007. Development and the next generation. Washington, DC. The International Bank for Reconstruction and Development/The World Bank. Punch, S. and Sugden, F. (2013). Work, education and out-migration among children and youth in upland Asia: changing patterns of labor and ecological knowledge in an era of globalization. Local Environment, 18(3): 255-270. Sumberg, J., Yeboah, T., Flynn, J. and Anyidoho, N.A. (2015). Perspectives on jobs and farming: Findings from a Q study with young people, parents and development workers in rural Ghana. Future Agricultures Consortium Working Paper 109, Brighton: FAC.